It was last year, April 15, when adidas announced it’s cooking something special that will change how we handle plastic waste that gets stuck in our ocean. Helping the eco-system by recycling marine waste into a material that can be used on adidas footwear and apparel. Now after more than year it’s finally here, adidas and Parley for the Oceans unveil First Performance Apparel and Footwear by ocean plastic. adidas and Parley for the Oceans has unveiled the first performance products in the form of football jerseys for world-leading clubs Bayern Munich and Real Madrid. The adidas x Parley football jerseys was worn when Bayern Munich faced TSG 1899 Hoffenheim (Saturday 5 November) and when Real Madrid play Real Sporting de Gijón (Saturday 26 November). The football jerseys were made from Parley Ocean Plastic, using up-cycled marine plastic debris, and water-based environmentally friendly prints. The all-white Real Madrid and all-red Bayern Munich kits feature the club logo, three stripes and sponsors’ logos in the same colour as the kit for a unique look. 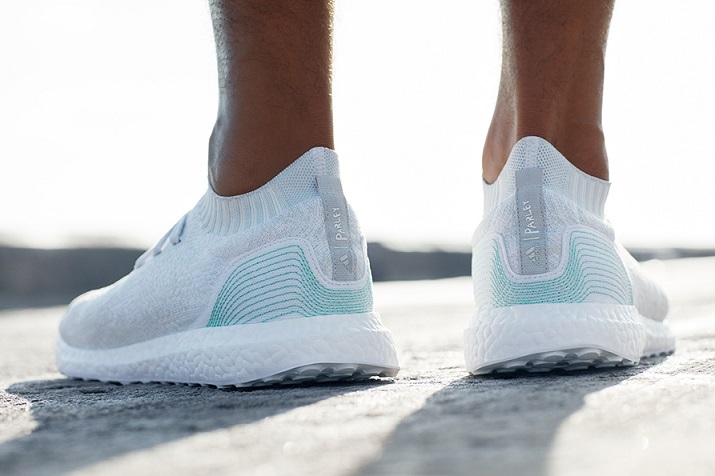 Inline with this, adidas released the first UltraBOOST Uncaged Parley running shoes, which is also the first apparel to be produced under this partnership. The UltraBOOST Uncaged Parley is also the first mass production footwear to be created using Parley Ocean Plastic. Both products are made from up-cycled marine plastic waste recovered via Parley interception and clean-up operations in coastal areas of the Maldives, with the aim of driving global awareness and comprehensive solutions to the threat of plastic pollution in the oceans. “This represents another step on the journey of adidas and Parley for the Oceans. We have not only managed to make footwear from recycled ocean plastic, but have also created the first jersey coming 100% out of the ocean.” – Eric Liedtke, adidas Group Executive Board member responsible for Global Brands. “But we won’t stop there. We will make one million pairs of shoes using Parley Ocean Plastic in 2017 – and our ultimate ambition is to eliminate virgin plastic from our supply chain.” – Liedtke added. 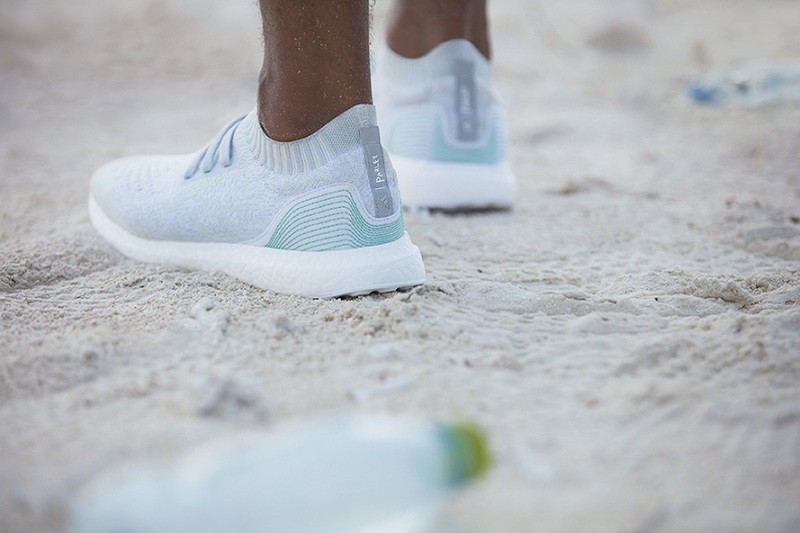 By 2017, adidas’ goal to get at least eleven million bottles retrieved from coastal areas by the Parley Global Clean-up Network, as part of implementation of the Parley A.I.R. Strategy (avoid, intercept, redesign), which aims to end the cycle of marine plastic pollution long-term.. This will be recycled and made into elite performance sportswear. We can expect that there will be more upcoming footwear and apparel collaboration between adidas and Parley. Next Next post: Adidas UltraBOOST Uncaged Parley PrimeKnit limited to 7K worldwide?